Press Release (ePRNews.com) - Wellington, FL. - Apr 06, 2017 - Joshua Davis, a certified financial planner and investment management expert, is branching out in creating his own private establishment, Davis Private Wealth, LLC. The firm is dedicated to putting his clients’ interests first and provides an array of financial services such as portfolio management, retirement planning, estate planning, college saving, budgeting, tax planning, cash flow analysis, and company retirement plans. In his previous firm, Joshua had worked on a team that managed $200 million worth of investments which speaks to the level of expertise he holds in his rightful field. Personally, Joshua has successfully received his MBA from the University of Florida as well as a B.S. in Finance from Azusa Pacific University. Joshua has also achieved the professional designation of CFP® (CERTIFIED FINANCIAL PLANNER™). Joshua works with many retired couples, business owners, and working professionals in order to assist them with their financial planning and future monetary achievements and goals. His focus lays on assessing client needs through comprehensive financial devising and implementing strategies in order to achieve client goals. Joshua founded the firm with the hopes of providing exceptional client services that only come with a boutique independent company. He is a proud member of the Financial Planning Association and the Wellington Chamber of Commerce, and is continually serving clients throughout South Florida. For anyone looking to make financial decisions for his or her future, and for anyone looking for industry expert advice, please call Joshua S. Davis at (561)-284-8999 for a free consultation. Joshua Davis is a financial planner, providing clients with tailor and bespoke financial assistance. 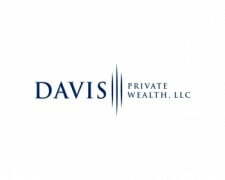 Davis’ wealth management strategies encompass a multidisciplinary approach to money management. Joshua is dedicated to helping clients gain control of their financial lives by providing professional investment management. Through comprehensive planning, Joshua provides professional and individualized financial assistance to you, your family, or your business. For more information, please visit http://www.davisprivatewealth.com/ or e-mail Josh at josh@davisprivatewealth.com or call 561-284-8999.